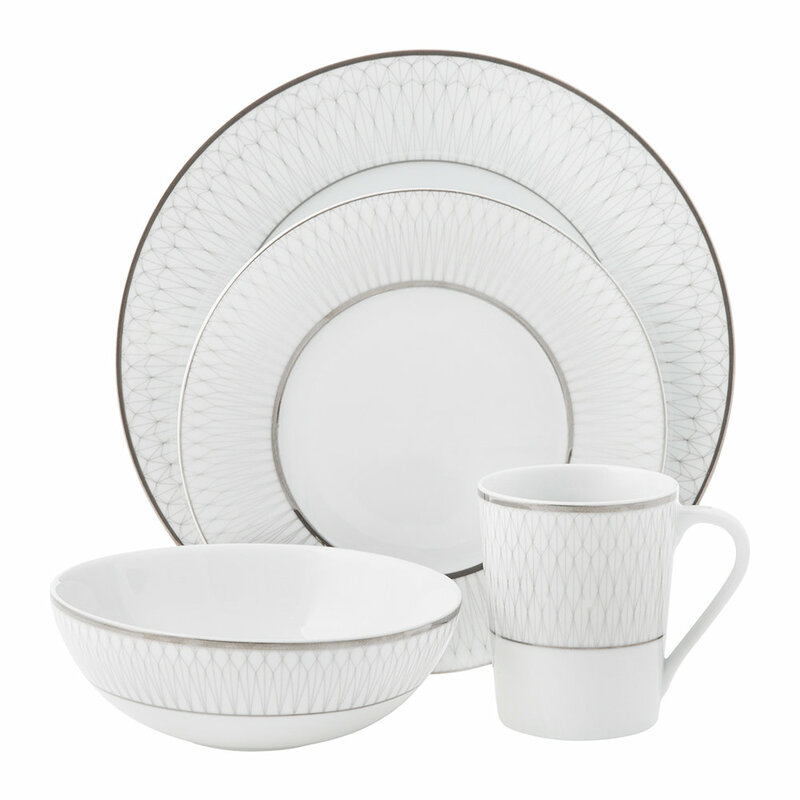 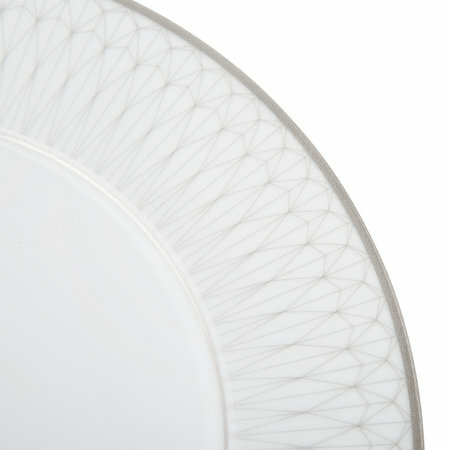 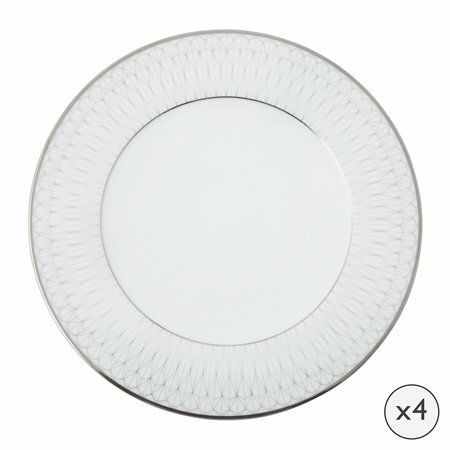 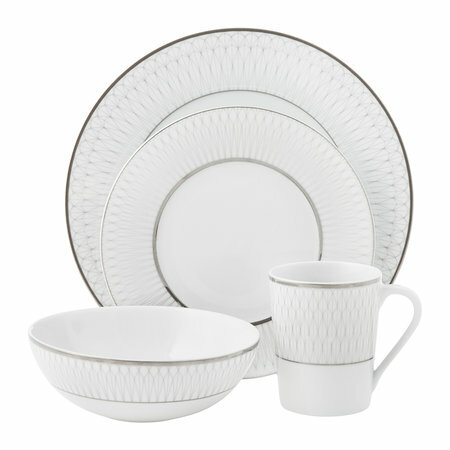 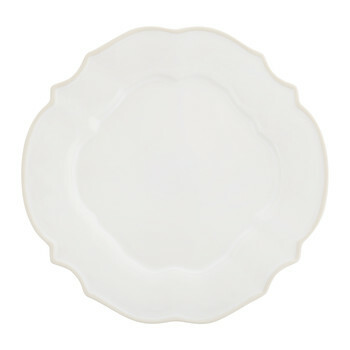 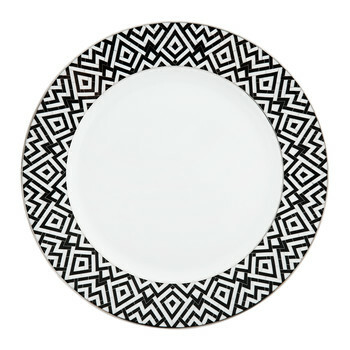 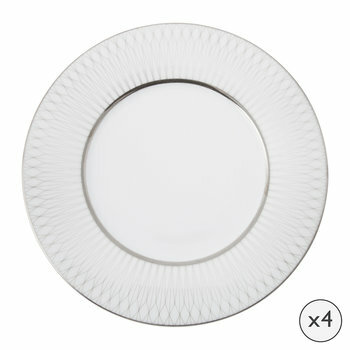 Add Art Deco charm to the table with this Prism set of four dinner plates from A by Amara. 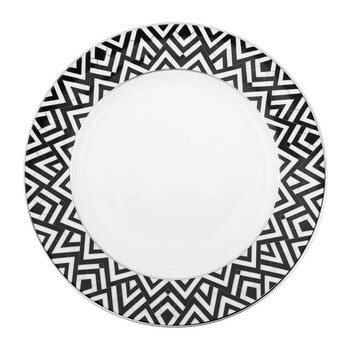 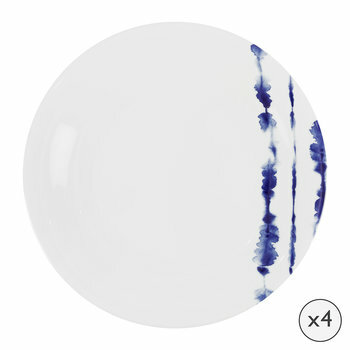 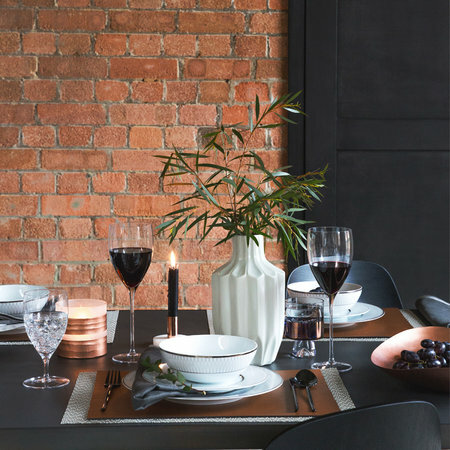 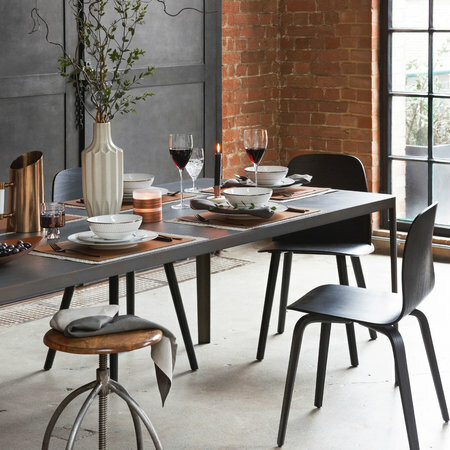 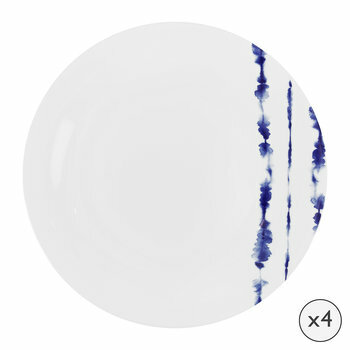 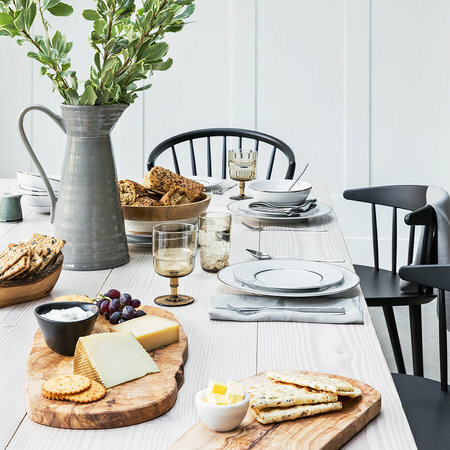 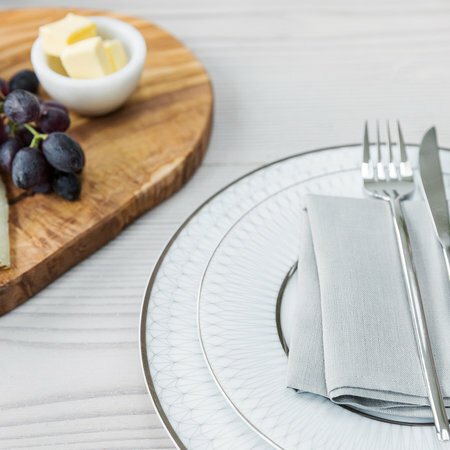 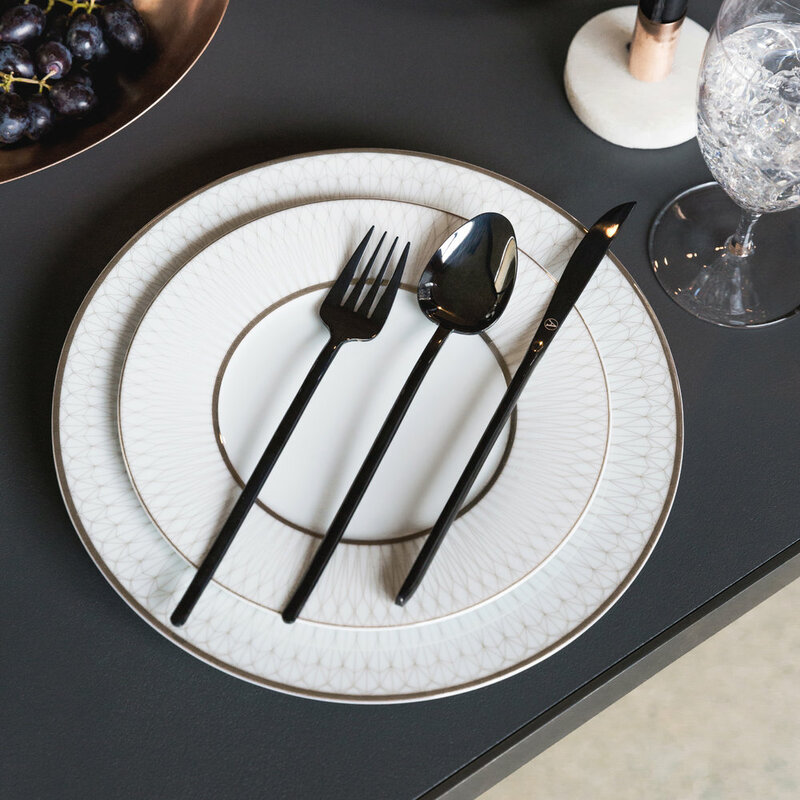 Perfect for infusing any meal with timeless elegance, these dinner plates have edges adorned with a classic Art Deco inspired print in a shimmering platinum hue. 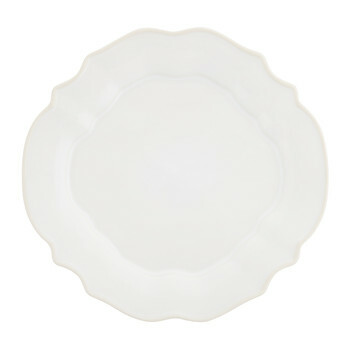 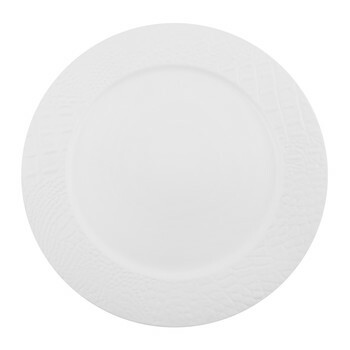 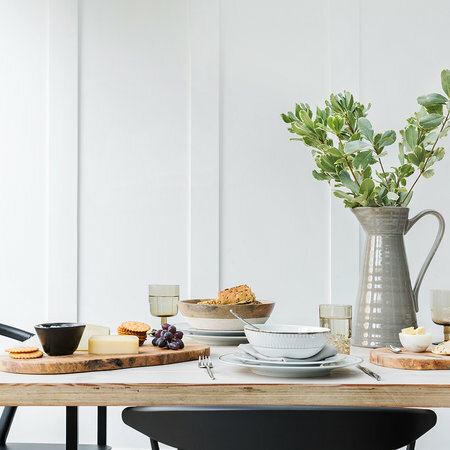 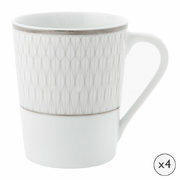 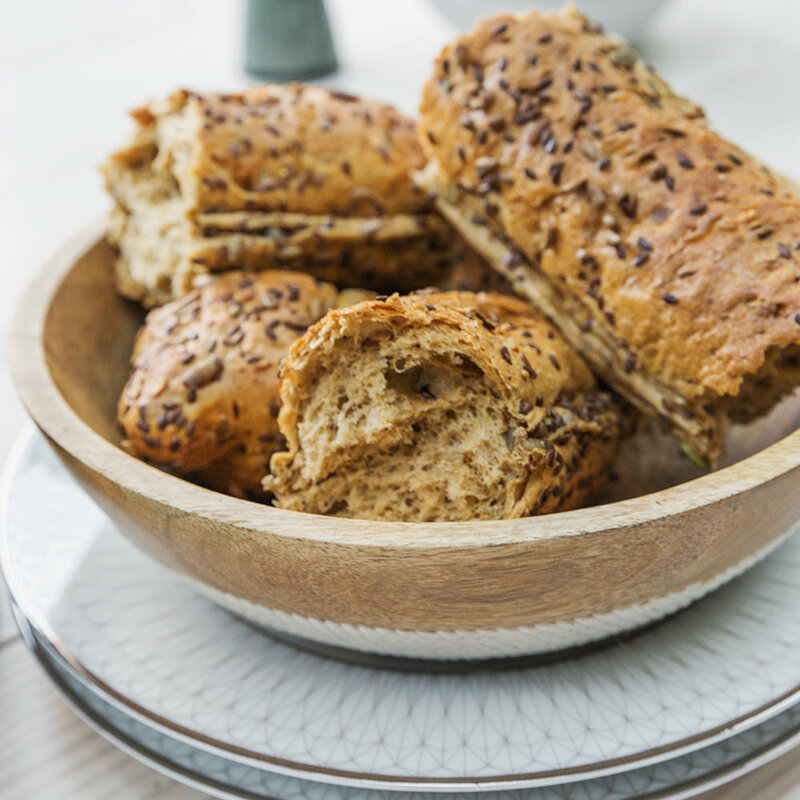 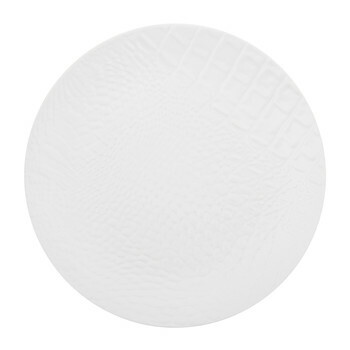 Made from porcelain, these exclusive plates have been expertly crafted in Portugal and are both dishwasher and microwave safe.